Apple is being sued by parents of young Apple iPhone users who claim that the tech titan is unfairly profiting from in-app charges. 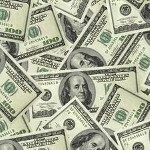 While many apps are free, of course, some in-app purchases can cost hundreds of dollars. A recent study showed that the average U.S.developer is making $63,885.34 in revenue thanks to in-app purchases from Apple iPhone users, just in the first month of being listed in the App Store. The plaintiffs complain that the system makes it too easy for kids to run up huge bills without getting approval from their parents. Apple has asked for the court to throw out the case, saying that in-app purchasing can now be disabled. Judge US District Judge Edward Davila ruled that a hearing can now move forward. Behind those sly smiles could the Smurfs be targeting parent's money? Apple's app-purchasing process allows users to enter a credit card number once, and allow future purchases to be automatically authorized. A recent update to iOS added a second layer of password protection and the ability to make an in-app purchase can be shut down entirely. Still, attorney Garen Meguerian said that the addictive nature of some games could lead children to purchase in-app upgrades without parents realizing that they are on the hook for the payments. Many "freemium" apps are free for a small taste of a game and offer paid upgrades to more competitive levels of game play. Some upgrades offer special powers or tools that players need in order to win a game. The FTC has warned developers that they must do more to warn parents. 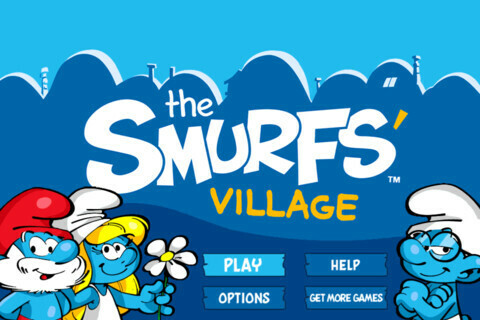 In a court filing from 2011, Mr Meguerian listed some games which he felt were designed to "induce purchases of game currency," such as Capcom's Smurf's Village. While the game is free, in-app purchases range from about $5 to $110. A warning message says that the game "charges real money for additional in-app content," and while the game can be played without upgrading, the progress is much slower. One review of the game noted that, "You really wont get anywhere with just the free stuff." The warning also mentions that in-app purchasing can be disabled. In the UK, the 10 year old daughter of Niamh Bolton ran up a bill of £1,500 ($2385.60 USD) playing Tap Pet Hotel. This is part of a wider Tap series of games which was mentioned in Mr. Meguerian's court filing. Mrs. Bolton said that her daughter ran up the charge in less than 2 hours and was done prior to Apple adding the in-app disabling option. "It was more than our monthly mortgage repayment," she told the BBC. "We didn't have that sort of spare cash in the bank account." Apple refunded the money. In app purchases are bad on Google Play. If you purchase something in app and your game messes up, you have to repurchase the in app content. I prefer everything to but purchased separately on the market so you have a option to redownload the content you paid for. In app purchases are lost on Facebook and iOS, if the app messes up - they are a waste of money, as at some point, you grow bored of the game, and realize you spent 100.00 on in app purchases that are useless....It has nothing to do with G.P. Ok, I have PIN enabled for all purchases. Granted, I havent tried in app purchases, but ur saying that if im playing...say... burger time.. and i want to buy something in game.. it has the ability to over ride my mandatory PIN code? That I have not seen. Can anyone validate that in app purchases over ride PIN code restrictions? As far as I have seen PIN code is the ultimate over ride on Android devices. remember they only very recently added pin codes to Market Purchases. when you do an in-app purchase all it does is show you a pop-up asking you which credit card you want to use and to verify the purchase. this seems kind of ridiculous… i mean apple puts disabling passwords and complete locks… if they want to give their kids the password and not chose to lock it then thats their issue… its already enough of a pain to input the password every time.. i am not sure what more they would want.. do they want apple to just scrap a feature cause they cant control their children? Agree. AND how come the kid knows the credit card number? Parents should be responsible enough to keep that from kids. @jsjakesaid Geez. Ok, I kind of said it wrongly. I was under the assumption that the kid registered it. That's why I said the parents should be responsible to keep it from their kids. Now, let's say the account was registered by the parents, it is still their responsibility to monitor the activities of their child. That's why a kid needs a guardian. Kids can't decide properly at their young age. As long as a kid is a kid it is the responsibility of the parents to look after them, not Apple, or the Gov't. Not intending to be in argument with you jsjakesaid but I just hate it when I see parents blaming others for the misfits of their child. You sir are retarded, in-game ap purchases do require a password to be entered. So like you said why must people comment if they don't know what they are talking about. While it's always hilarious to see Apple in trouble for something, this is ludicrous. These parents need to pay more attention to what their kids are doing. Exactly, I hate apple, but the parents are idiots for not monitoring what their kids do. Not to mention that the parents should have never given these kids their card to make purchases to begin with. Apple shouldn't be help responsible for their customers stupidity. those poor moms are going to be eaten alive. this is the fault of bad parenting not in-app purchasing. remember parents, giving your children smartphones is a privilege, not a right. responsibility is a part of the deal. @TROLL Yeah, before I thought this guy was in his 30s too until I read in one of his previous posts that he was 19 haha. @KingKurogiii Reversal of family roles, haha, I like that one :p Some people really grow old backwards. ok, I call this B.S. In my family we have an ipod touch, iphone 3GS (no sim), iphone 4S (VZW) and a wi-fi only ipad I - yeah, I know....lol, sorry....anyways, when my kids want something they have to enter a code and hand the device to me. I never had a problem with the kids running up the bill, because I control it. That's because you're a responsible parent. These parents just want something for free, just like most of society nowadays. I actually hope they win, and Apple puts password protection on in-app purchases. I gave my younger sister my old iPod Touch with my account still on it. I always had her come to me when she wanted new games or apps, but I didn't realize that she didn't need approval to buy in-app purchases. I got charged $10 for in-app purchases on some dress up game. After noticing the charges, I had her show me what she was doing, and I wouldn't have even known that it'd have charged me if I was playing. Anyways, I think Apple needs to put password protection on in-app purchases, or at least give the user the option.